Strength coaches have gotten too dependent on computers, spreadsheets, and percentages. It’s that simple. 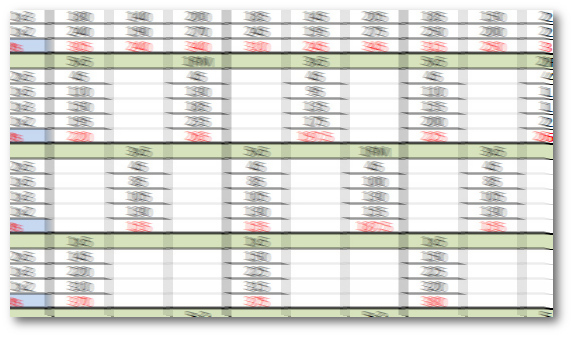 Make no mistake, the computer-generated spreadsheet (and the ease with which it calculates percentages) has advantages. Surely, the computer and the spreadsheet have ushered in a brave new world for coaches. They allow a great many athletes to use what is, essentially, the same program, making the coach’s job much easier. 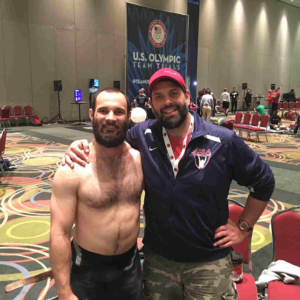 A coach can now program for 100 athletes almost as easily as he can program for two athletes. Collegiate strength coaches are at the forefront of this. They use percentage based programs almost exclusively because they deal with athletes of highly divergent abilities, and 82% for 5 sets of 5 can give you the correct workout whether you can bench press 150 pounds, or 550 pounds. It is a pretty easy way to program. But there is a cost associated with the ease of use. We are losing sight of the PROCESS of progressive resistance training. We are starting to view strength training as an EVENT. Let me restate: A coach can now program for 100 athletes almost as easily as he can program for two athletes. That’s not always a good thing. When viewing a program that is percentage-based, all you see is a snapshot of each day. Do four sets of five reps on the bench press, or five sets of 10 on the squat. In reality, what you do that particular day is not that important. What is important is the the relationship between what you did yesterday, what you do today, and what you will do tomorrow. It is the process that is important, not any single snapshot in time. Barbell training works because it allows you can adjust the weight of the barbell upwards in very small increments. This is what makes progressive resistance training possible, and what makes the barbell the most effective training modality for anyone trying to gain strength or muscle. It’s how you get from squatting 200 pounds for five reps to squatting 500 pounds for five reps. Your body is not capable of making a huge jump in strength all at once, but it is capable of making a small jump. And it is capable of making this small jump again and again. 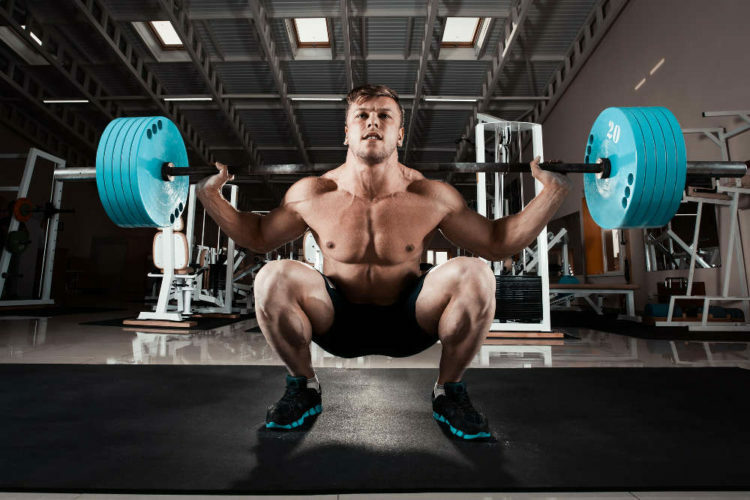 This PROCESS of lifting successively heavier weight each workout is how you go from a 200 pound squat to a 500 pound squat. But to take advantage of this powerful method you have to precisely pick the right weight for each training session along the way. Precisely the right weight. Percentages are often not exact enough to accomplish this. The Journey from 200 to 500 will likely take a couple of years, and along the way you will probably progress from a beginner, increasing the weight each workout, to an intermediate, making weekly increases, and maybe even to an advanced lifter, making monthly or even bi-monthly increases. But through all that you will have to precisely choose the right weight for each workout. Your continued progress will depend on it. The best way to accomplish this is to base your training on your own PRs for whatever number of repetitions you are doing. This is called this repetition maximum, or RM based training. For a beginner using this method, the programming is simple. You just increase the weight for each workout. For the more advanced lifter, it is a little more complicated, but not much. A lifter using a program with weekly variation (like the Texas method) would base each day’s training on what they did on that same day the week before. So if the weight you use for five sets of five on your high volume day on Monday was 200 pounds, your five sets of five the next Monday will be something heavier, let’s say 205 pounds. And if your single set of five on the high intensity day (Friday) was 225 pounds last week, it should be more this week, maybe 230 pounds. Whether they are powerlifters, weightlifters, bodybuilders or even if they just want to get more ‘jacked,’ most lifters eventually get to the advanced stage. Gains are very hard to come by at this point, and it is often helpful to start dividing your training into cycles. Training cycles let you introduce a little more variety in the stimulus your body receives by varying the intensity and the volume of the training over the cycle. Strength training cycles are easy to design using the RM method, so let’s design one. As you can see the volume is higher (more sets) at the start of the cycle, as are the weekly increases in weight. As the training cycle progresses the volume comes down, as do the weekly increases in weight. As any experienced lifter knows when you are making new PRs each week, you want to keep the increases very small from workout to workout to keep the increases coming for as long as possible. Nothing can end a productive training cycle quite so quickly as over-ambitious weight selection. When you program this way, getting back to and surpassing your old PR is emphasized. This type of programming automatically directs all of your attention to the task of breaking your PR. The act of breaking PRs should be like mother’s milk to a lifter, and using the RM method of programming gives this act its proper emphasis. On the other hand, if you program only with percentages there is nothing to direct you to the precise weight you need achieve what should be the central goal of strength training, the act of breaking a personal record. Give RM based programming a try. You should find yourself focusing more on the process of increasing the weight each workout more and more, instead of thinking of each workout as a standalone event. 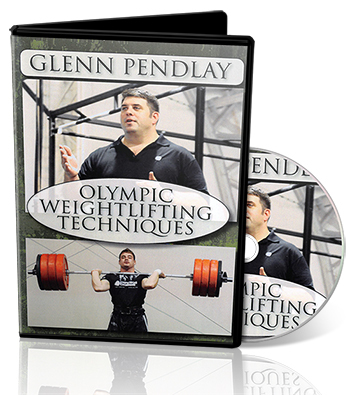 Glenn Pendlay is a top US Olympic weightlifting coach who has produced national champions at every level of the sport, from the Junior Olympics through Masters and Senior Nationals—over 100 national championships in all. This is the level of experience he shares in his live workshop video.